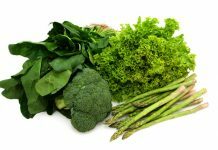 What Is the Best Gestational Diabetes Diet Plan? Home PREGNANCY HEALTH Diabetes and Pregnancy What Is the Best Gestational Diabetes Diet Plan? When thinking about your gestational diabetes diet plan you should know that about 4% of all pregnant women develop gestational diabetes. This is a kind of diabetes that affects only pregnant women, as the name suggests. The good news is that the condition disappears after you give birth. In order to have the right diet you should have a balance of carbohydrates, lean protein and a little bit of fat. According to the specialists about 50% of the calories that you have should come from carbohydrates. The calories that come from fats should be less than 30% of the daily calorie intake. 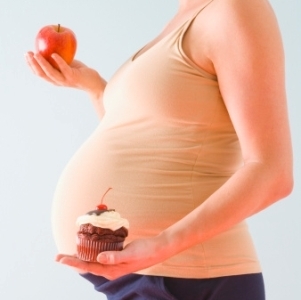 Most women would also like to have some snacks in their nutrition for gestational diabetes. In this case you should be looking for some carbohydrates with lean proteins. Good choices include crackers with cheese, some fruit with low fat cheese and whole grain bread with peanut butter. In case of the diet for gestational diabetes it is very important to have a schedule and to stick to it. If you skip the snacks or meals your blood sugar level could drop. As a result you could end up feeling weak or lightheaded. You should stick to your schedule even when you are eating out. When thinking about the nutrition plan for gestational diabetes it is best to consider the frequent and small meals instead of the large meals that you have three times a day. This is important to make sure that the insulin response of the body won’t be overwhelmed. Although carbohydrates are important for the gestational diabetes nutrition plan, you shouldn’t have only carbohydrates. This is because they increase the blood sugar levels very fast, followed by a drop. Make sure that you also have some protein to that the absorption of the carbohydrates will be slowed down. If you are looking for a gestational diabetes diet plan you have to remember that the fruit juices, sauces and sweetened drinks make you have a carbohydrate surge. This is why it is a rule that the women with this condition should have a bit of fruits or fruit juice only in the morning. This rule of the gestational diabetes’ diet is very important because these kinds of foods are rich in carbohydrates. According to the studies conducted in the field these are better metabolized during later in the day. This way women won’t have carbohydrate rushes that could possibly harm them. To have the right diet plan for gestational diabetes you should check your blood sugar level before you eat and a couple of hours after. This way you will know if you got the amount of carbohydrates right. This is the best to way to get feedback. Now you know how you can manage your diet for gestational diabetes for it to meet your needs and to help you have a relatively normal pregnancy as well. Next articleWhen Can You Get an Abortion?